Muzaffar Alam is a historian trained at Jamia Millia Islamia (New Delhi), Aligarh Muslim University and Jawaharlal Nehru University (New Delhi), where he obtained his doctorate in history in 1977. 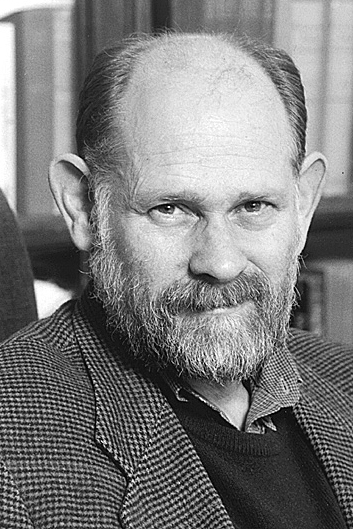 Before joining the SALC at the University of Chicago in 2001, he taught for three decades at the Centre for Historical Studies, Jawaharlal Nehru University, and has held visiting positions in the Collège de France (Paris), Leiden University, University of Wisconsin (Madison), and the EHESS (Paris). His working languages include Persian, Arabic, Hindi and Urdu. Professor Alam has taught courses on the history of the Delhi Sultanate and the Mughal empire, and he has also worked closely with students on advanced Urdu and Persian literary and historical texts. Any study of the Delhi Sultanate and Mughal empire must, of course, be informed by close attention to contemporary developments in Central Asia, as he has shown in works such as Indo-Persian Travels in the Age of Discovery: 1400-1800 (With Sanjay Subrahmanyam) (Cambridge: Cambridge University Press, 2007. 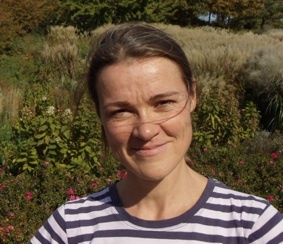 Helga Anetshofer (PhD, Vienna University 2001), is Lecturer in Uzbek and other Turkic languages at the University of Chicago. Her primary areas of interest include Old Anatolian Turkish language and literature, Irano-Turkic language contact, and Turkic linguistics. 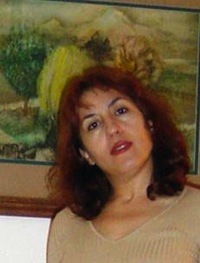 She has taught a comparative course on historical and modern Turkic languages, as well as courses in Turkic languages and literatures (Ottoman, Turkish, Kyrghyz, Middle Turkic) at Free University, Berlin; Eastern Mediterranean University, Famagusta (Cyprus), and Harvard University before joining the University of Chicago in 2009. Helga is an Ottoman philologist by training, and her research focuses on Old Anatolian Turkish (14th-15th centuries). Between 1996-2003 she had been regularly contributing to the late Andreas Tietze’s Historical and Etymological Dictionary of Turkish Project (Tarihi ve Etimolojik Türkiye Türkçesi Lugati; vols. 1, 2, 2002, 2009). Her special interests also include gender issues, material culture and social history of Anatolian mysticism, as well as comparative linguistics of historical and modern Central Asian Turkic languages. Dr. Kağan Arık (PhD 1999, NELC/ANTH., University of Washington, Seattle) is the Ayaslı Lecturer in Modern Turkish and Turkic languages, and coordinator for the Turkish language program at the University of Chicago since 2008. He has also been active as Lecturer in Uzbek and Central Asian Studies since 2000. 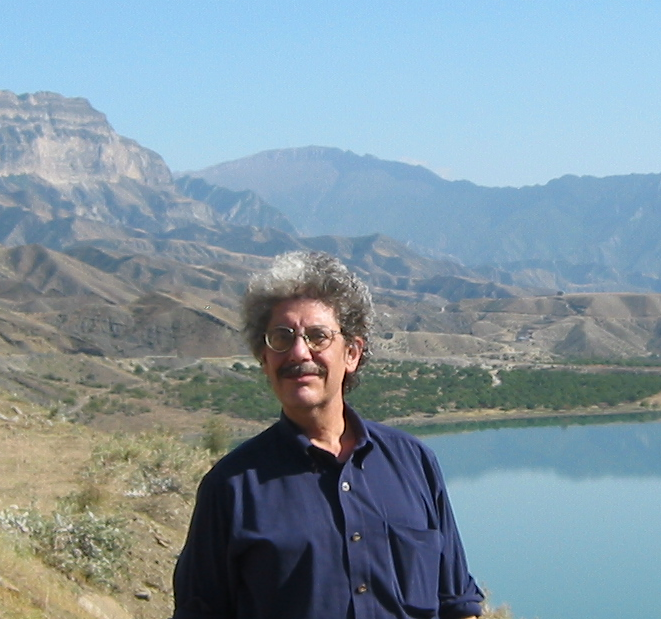 His background pertaining to Central Asian Studies is as an anthropologist (socio-cultural, linguistic, medical), linguist and historian, and he has studied the region since 1987. His primary research activities in Central Asian studies pertain to pre-Islamic elements in the culture of the Turkic peoples of Central Asia. He has published on the culture of the Kazak nomads in China, as well as on the oral literature of the Kirghiz, and on traditional healing among the Turkic peoples in Central Asia. He has lived and conducted field research in Kazakstan, Kyrgyzstan, Tatarstan, and in the Uyghur Autonomous Region of the PRC. His regional languages include Kazak, Uzbek, Kyrgyz, Tatar, Turkmen, Azeri, Tuvan, Altai, and Persian/Tajik. In addition to his professional activities as a language pedagogue of Modern Turkish, Uzbek, and Kazak, he has taught survey courses focusing on the musical and medical anthropology of Central Asia, Central Asian History, and on Old and Middle Turkic texts in the original. He founded the Central Asian Studies Society at the University of Chicago in 2000. Persis Berlekamp specializes in art of late Abbasid and Mongol periods (thirteenth to fifteenth centuries), and works with Arabic and Persian sources. Current research interests include Neoplatonic cosmography and the imaging of natural history, alchemy, and astrology; the application of medieval Islamic traditions of medical illustration to Chinese medicine; and how theoretical understandings of talismans relate to their visual forms. Chair of Fundamentals: Issues and Texts). My main area of interest is the aesthetic practice and theory of Russian modernism. My first full-length book Russian Prospero (2006) is a comprehensive study of the poetry and thought of Russian symbolist Viacheslav Ivanov; my edition of Ivanov’s Selected Essays was published in 1999. I am also the author of two books on the film-maker Andrei Tarkovsky: Andrei Rublev (2004) and Andrei Tarkovsky: Elements of Cinema (2008). My translations of Russian religious thought include On Spiritual Unity: A Slavophile Reader (1998). I have also published a critical biography of Dostoevsky (2013). Recent publications include essays on Soviet wartime poetry, the films of Aleksandr Sokurov, and the intersections of science and art in Soviet aesthetics of the 1930s. In Central Asian studies I am most interested in the establishment of national literatures in the 1930s under the aegis of socialist realism and in Central Asian art cinema in the postwar period. I have published on the Tajik-Uzbek director Ali Khamraev and am offering a course in Central Asian cinema in fall 2013. 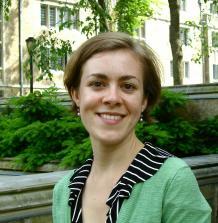 Leah Feldman (PhD, UCLA 2013) is incoming Assistant Professor of Comparative Literature. Her teaching and research reflect her interest in the relationship between aesthetics and politics, theories of modernity, global literary networks, translation, as well as critical approaches to semiotics and postcolonial theory. Her work traces connections between the Russian and Soviet empires and the Turko-Persianate world. 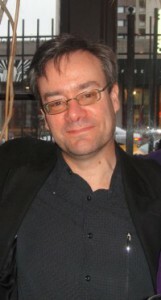 Before joining the University of Chicago, Feldman held two fellowships in residence at the Princeton Institute of International and Regional Studies and the Institute of Advanced Study at the Central European University in Budapest between 2013 and 2015. Her current book project On the Threshold of Eurasia: Orientalism and Revolutionary Aesthetics in the Caucasus, 1905-1929 exposes the ways in which the idea of revolution informed the interplay between orientalist and anti-colonial discourses in Russian and Azeri poetry, prose, and visual materials.Tracing translations and intertextual engagements across Russia, the Caucasus and western Europe, it offers an alternative vision of empire, modernity and anti-imperialism from the vantage point of cosmopolitan centers in the Russian empire and Soviet Union. She is the author of “Orientalism on the Threshold: Reorienting Heroism in Late Imperial Russia” in Boundary 2 and a forthcoming collection of translations of Azeri plays. Victor A. Friedman (Ph.D., University of Chicago, 1975) is Andrew W. Mellon Distinguished Service Professor Emeritus in the Humanities and the Department of Linguistics. He is a member of the Macedonian Academy of Arts and Sciences, the Academy of Sciences of Albania, the Academy of Arts and Sciences of Kosova, Matica Srpska, and has been awarded the “1300 Years of Bulgaria” jubilee medal. He has thrice been awarded the Golden Plaque from Sts. Cyril and Methodius University of Skopje, from which he also holds the degree of Doctor Honoris Causa.In 2009 he received the American Association of Teachers of Slavic and East European Languages’ Annual Award for Outstanding Contributions to Scholarship. In 2014 he received the Annual Award for Outstanding Contribution to Scholarship from the Association for Slavic, East European, and Eurasian Studies. During the Yugoslav Wars of Succession he worked for the United Nations as a senior policy and political analyst in Macedonia and consulted for other international organizations. He has held Guggenheim, Fulbright-Hays, ACLS, IREX, NEH, and other fellowships. His main research interests are grammatical categories as well as sociolinguistic issues related to contact phenomena, standardization, ideology, and identity in the languages of the Balkans and the Caucasus. He has also published on evidentiality in the languages of Central Asia and been a guest professor at Al-Farabi Kazakh National University, Almaty. In 1993 Haroutunian received a Fullbright Fellowship to pursue research at the Hittite Dictionary project at the University of Chicago. She has been in Chicago since then. From 1994 to 2001 she worked as a Research Associate in the above mentioned project. Meanwhile she taught a number of Adult Education Courses in Hittite History, Religion and Culture at the Oriental Institute. In 2001 Dr. Haroutunian joined the NELC faculty and has been offering a variety of courses at the University of Chicago, including Armenian Language (Modern at 3 levels and Classical) and Literature, History and Culture of Armenia, Hittite Empire, etc. Haroutunian’s research has concentrated on linguistic and cultural-religious topics relating to Hittite texts, as well as aspects of Armenian culture like traditions and beliefs. The scope of her interests stretches from Armenian history and culture to that of neighboring Post-Soviet Independent States, as well as Indo-European Studies, Human Rights Studies, etc. 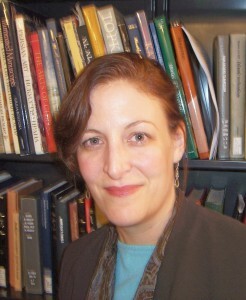 Faith Hillis is an historian of imperial Russia, with a special interest in nineteenth- and early twentieth-century politics, culture, and ideas. Her first book, Children of Rus’: Right-Bank Ukraine and the Invention of a Russian Nation (forthcoming with Cornell University Press in 2013) examines why Russia’s ethnically, confessionally, and linguistically diverse southwestern borderlands–territory that today forms the heart of the independent nation of Ukraine–produced the empire’s most aggressive, mass-oriented, and politically successful Russian nationalist movement. Recently, she has begun work on a second book-length project, which focuses on Russian emigre communities in nineteenth-century central and western Europe and explores how they shaped European politics and everyday life. Although her research to date primarily has looked west, her teaching investigates the Russian and Soviet experience of empire more broadly and considers Russian engagement with other empires, nations, and cultures to its east and its south. Her recent course offerings have included seminars on comparative empire, mobility and cross-cultural encounters, and integrating Russian history into broader histories of the world. Hakan Karateke (Associate Professor of Ottoman and Turkish Culture, Language and Literature) obtained his PhD from Bamberg University, his habilitation degree from Vienna University and after teaching six years at Harvard, joined the University of Chicago in 2009. He is trained as an Ottoman philologist and literary historian. His dissertation was a historical study which was revised and published with the title Long live the Sultan: Ottoman Ceremonies in the 19th Century in Turkish. The book is a study of changes in the quality and meaning of court ceremonies during the nineteenth century and places them within the context of a general theoretical framework analyzing the use of ceremony as a source of political legitimacy. An English version of the book is in the making. Professor Karateke has edited several Ottoman texts and is working on others. Risale-i taciyye, a treatise on dervish headgears, co-authored with H. Anetshofer, came out in 2001 and An Ottoman Protocol Register in 2007. 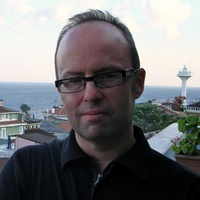 He is also working on a “Social History of the Ottoman Language.”He is the co-editor of the online encyclopedic project Historians of the Ottoman Empire and, again, the co-editor of the Database for Ottoman Inscriptions. He is interested in the interactions between Central Asia and the western Turkic world. Franklin Lewis teaches courses on Persian literature and language, medieval Islamic thought, Islamic mysticism, Iranian cinema, translation history, and comparative literature, and is the current Chair of the Department of Near Eastern Languages and Civilizations (NELC}. He runs the email discussion list Adabiyat for students and scholars of Persian, Arabic, Turkish and Urdu literatures, and is past President of the American Institute of Iranian Studies. Before coming to Chicago in 2005, he taught at Emory University in the Department of Middle Eastern and South Asian Studies. His research interests center on Persian literature, particularly the Samanid to the Timurid period, as well as 20th-century poetry & prose; comparative literature (performance, genre studies, semiotics, sociology of literary production, narratology, hermeneutics, homiletics, codicology and editorial theory focusing on Arabic and medieval European literatures); and mystical and esoteric traditions in the Islamicate world (including Sufi, Shiʻi and Baha’i thought and theology). Publications include several translations of modern Persian prose and poetry, and articles on Hâfez, ʻAttâr, Saʻdi, Najm al-Din Dâye, Persian literature and the Qur’ân, the Sufi orders, the hagiographical tradition, the writings of Bahâ’ Allâh. An ongoing interest in Mowlânâ Jalâl al-Din Rumi is reflected in his monograph on the subject, a book of literary translations of his poems, a guest-edited special journal issue focusing on the current state of Rumi studies, and an edition and translation of the discourses of Borhân al-Din Mohaqqeq of Termez, the teacher who purportedly initiated Rumi in the mystic tradition. 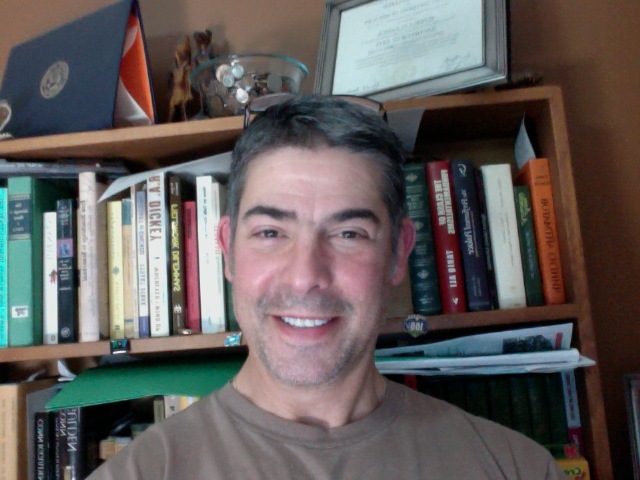 He is currently working on a translation of the stories of Bozorg ʻAlavi. Bruce Lincoln emphasizes critical approaches to the study of religion. He is particularly interested in issues of discourse, practice, power, conflict, and the violent reconstruction of social borders. 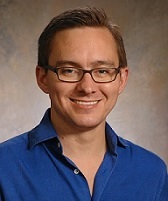 His research tends to focus on the religions of pre-Christian Europe and pre-Islamic Iran, but he has a notoriously short attention span and has also written on a bewildering variety of topics, including Guatemalan curanderismo, Lakota sun dances, Melanesian funerary rituals, Swazi kingship, the Saint Bartholomew’s Day massacre, Marco Polo, professional wrestling, Persian imperialism, the theology of George W. Bush, and comparative demonology. His most recent publications include Gods and Demons, Priests and Scholars: Critical Explorations in the History of Religions (Chicago, 2012), and Comparer en histoire des religions antiques, coedited with Claude Calame (Liège, 2012). 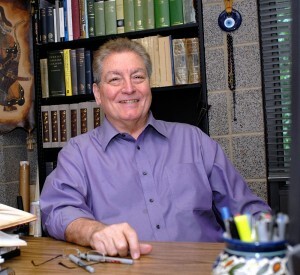 When Bruce Lincoln functions as a specialist, his research focuses on the relation of religion, culture, and power relations in pre-Islamic Iran, working primarily from the Old Persian, Avestan, and Pahlavi sources (along with the Greek historians for the Achaemenid period). His publications in this area include Priests, Warriors, and Cattle: A Study in the Ecology of Religions (Berkeley, 1981), Myth, Cosmos, and Society: Indo-European Themes of Creation and Destruction (Cambridge, MA, 1986), Religion, Empire, and Torture: The Case of Achaemenian Persia (Chicago, 2007), and “Happiness for Mankind”: Achaemenian Religion and the Imperial Project (Louvain, 2012). Richard Payne is a historian of the Iranian world in late antiquity, ca. 200–800 CE. His research focuses primarily on the dynamics of Iranian imperialism, specifically how the Iranian (or Sasanian) Empire successfully integrated socially, culturally, and geographically disparate populations from Arabia to Afghanistan into enduring political networks and institutions. His recent book, A State of Mixture: Christians, Zoroastrians, and Iranian Political Culture in Late Antiquity, explores the problem of religious diversity within the empire, showing how Syriac-writing Christians could create a place for themselves in a political culture not of their own making. He is currently at work on the role of Zoroastrian religious institutions and the intersection of ideological and material dimensions in Iranian history. He also maintains interests in the social history of Christian and Zoroastrian communities in the early Islamic world, the interaction of the Near East with Central and Inner Asia, and the comparative study of ancient empires in the Near East and the Mediterranean from the Akkadians to the Romans. Payne completed a doctorate in history at Princeton University. He was awarded the Bliss Prize from Dumbarton Oaks, the Crisp Fellowship from Phi Beta Kappa, a research fellowship from the German Academic Exchange Service (DAAD), and a visiting research scholarship from the Institute for the Study of the Ancient World at New York University. He was elected a research fellow of Trinity College, University of Cambridge. He is the author of A State of Mixture: Christians, Zoroastrians, and Iranian Political Culture in Late Antiquity (Berkeley: University of California Press, 2015). 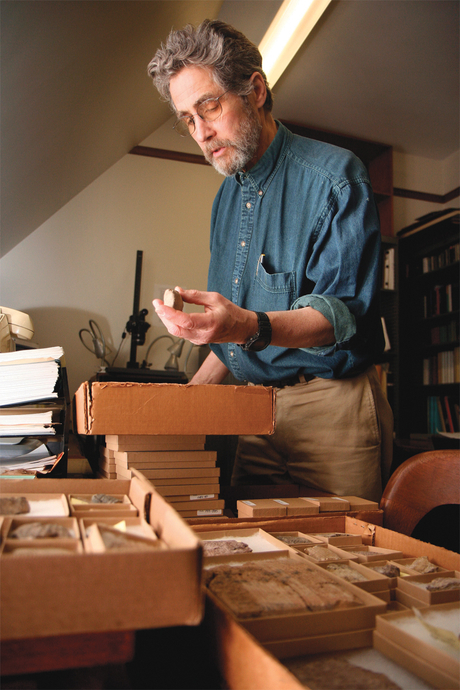 Matthew W. Stolper (Professor Emeritus of Assyriology, John A. Wilson Professor of Oriental Studies in the Oriental Institute) has worked primarily on Achaemenid Babylonian texts and secondarily on Elamite history and texts. His work on Babylonia when it was a province of the Achaemenid Persian empire mostly treats legal and administrative texts as evidence of social, economic and political history c. 450-300 B.C., the time between the consolidation of Achaemenid control and the consolidation of Seleucid control. His work on Elam and Elamite includes a survey of Elamite political history (out of print), a sketch of Elamite grammar, and publication of Proto-Elamite and Elamite texts from ancient Anshan. His main effort now is on Achaemenid Elamite and Achaemenid Aramaic administrative documents excavated by the Oriental Institute in 1933 at Persepolis, the imperial residence in the Persian homeland, to be published in electronic and conventional forms. Stolper’s courses have dealt mostly with Akkadian historical and legal texts of the late first millennium, with forays into Old Persian and Elamite language and Achaemenid history. He serves on the editorial boards of the Chicago Assyrian Dictionary, the Journal of Cuneiform Studies, and ARTA. John Woods focuses primarily on the history of Turkey, Iran, and Central Asia from the thirteenth to eighteenth century. He is particularly interested in aspects of the encounter of sedentary and nomadic people in those regions during that time period. He is at present working on several projects dealing with the age of Chinggis Khan and Timur (Tamerlane). He has played a central role in the Center for Middle Eastern Studies since 1980, and is Chair of the Central Eurasian Studies Committee. 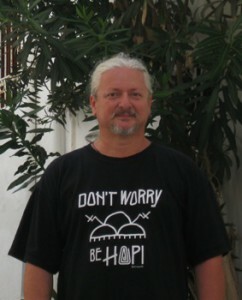 Russell Zanca (Ph.D., Anthropology, University of Illinois at Urbana-Champaign, 1999) first began traveling to and studying in the former Soviet Union more than 25 years ago, and to Central Asia more than 20 years ago. He spent his graduate school years outside of Urbana learning about Central Asia at Columbia U., the U. Wisconsin, and Indiana U. Over the years he has published mainly on Uzbekistan, covering topics such as collective farming, the cotton monoculture, cuisine, religion, gender, and Soviet history. He has co-edited Everyday Life in Central Asia with Jeff Sahadeo (2007, Indiana) and written Life in a Muslim Uzbek Village, Cotton Farming after Communism (2011, Wadsworth). 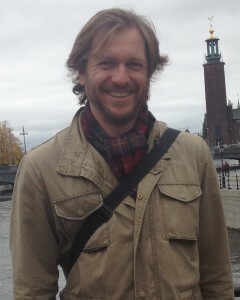 Russell has long served on the Central Eurasian Studies Society board, and serves as an editor for the Journal of Eurasian Studies. 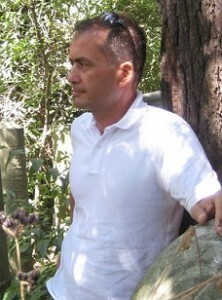 In 2010 he began working with colleagues at the University of Wisconsin to help establish and enrich the School of Social Sciences and Humanities at Nazarbayev University in Kazakhstan, and recently became an international coordinator of graduate anthropological studies at the Al-Faraby National University of Kazakhstan in Almaty. Russell serves as a professor at Northeastern Illinois University (1999) as well as an associate at both the University of Chicago’s Center for Eurasian, East European and Russian Studies (2009), and at the University of Illinois’ Russian, Eurasian, and East European Center(2002). His major goal with CCES is to expand student participation and membership at UC, while generating increasing Central Eurasian interest and outreach within Chicagoland.